It consists of gift trees that people have given as presents or bought for themselves . Each tree has a historical wooden plate with a special thought beside it. The thought plate contains a message that the gift tree giver wants to say to the gift tree receiver or to the world. The thought that people are choosing are personal words, a greeting, a favorite poem or lyrics from a song- whatever conveys the sentiment the person desire. The trees give force to each other to grow upwards. The buttresses of the trees will touch each other, passing the thoughts from tree to tree, from one leaf to another leaf; in this way your thought is in touch with other thoughts and special moments of life related to them. Forest Generation is a Finnish owned reforestation company in Panama. The slogan of Forest Generation is GREEN FOREST ON A BLUE PLANET, which is also the vision of the company: the clean and fresh future of the planet earth. 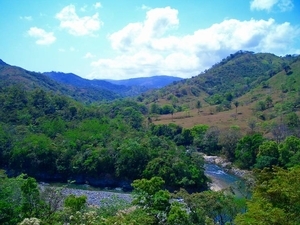 The mission of Forest Generation is to reforest lands where the original virgin rainforest has been chopped down. The reforestation is done with native tree species and in this way the forest ecosystem will be restored. Your gift tree will be planted in a forest sanctuary owned and cared for by Forest Generation. The name of the forest sanctuary is the FOREST OF THOUGHTS. 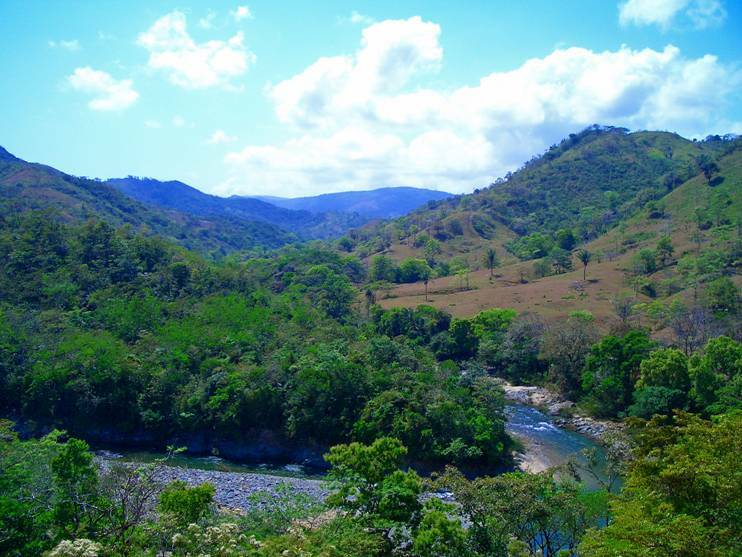 At the moment the size of the Forest of Thoughts is 250 ha (618 Acres) and it is situated in a beautiful valley of the Mamoni river 50 km east of Panama’s capital city. The Forest of Thoughts consists of the planted gift trees with the treasured thoughts beside them, Forest Generation´s special tree cultivation areas and small remaining primeforest parts. The tree owners can wander in the Forest of Thoughts meeting their flourishing trees and reading the thoughts beside other trees telling stories about the special moments along the path of life. Giant trees which are hundreds of years old can be admired along the paths of the small rainforest parts. You will be able to see how your own personal trees will look in the future! Did you know? : One big gift tree in the Forest of Thoughts neutralizes 10000kg of carbon dioxide from the air over it´s lifetime which is approximately 400 years. This is equivalent to the average carbon emissions of one person during the course of one year. Therefore, having chosen gift trees from our 19 tree species, you are also promoting biodiversity and protecting vulnerable and endangered native wood species. Trees grow fast in the tropics. Within a few years the planted gift tree areas will be connected to existing small rainforest parts, forming important passages for the rainforest animals in the area. The Forest of Thoughts is connected to a primary rainforest which goes through the whole of Panama and is an important part of the Central-American ecological passage. This rainforest belt has a very rich biodiversity. As the Forest of Thoughts grows, there will be more and more fabulous rainforest animals that can be admired whilst walking through the forest. The planting and caring of the Forest of Thoughts will as well provide work opportunities for the people of the nearby village Chararé. The people in this village are living in poverty. At the moment they survive by hunting and by trying to grow their food by first chopping the forests down and burning them. In addition to the Forest of Thoughts restoring nature by itself and giving work to the people of the village, the activities of Forest Generation will indirectly reduce the need to chop down and burn the forests. At its full capacity the Forest Generation will give at least one workplace for each family within forest-care and eco-tourism activities, not forgetting the on-the-job training and other educational training. The heart of the Forest of Thoughts is the beautiful river valley with its surrounding hillslopes and high hilltops. From the hilltops opens breathtaking scenery reaching the Pacific-ocean. The emerald-colored and crystal-clear Mamoni river passes through the heart of the Forest of Thoughts and is 1,5 km long. This part of the magnificent river has lovely lagoons with sandy river benches broken by little rapids and presents its beautiful waterfall El Salto (famous among the river rafters). In addition to the fantastic river the Forest of Thoughts has three lovely spring-water streams. The pristine streams have their underground volcanic stone sources near the hilltops then run down to the valley, having several fascinating waterfalls on the way. The highest of the waterfalls are Salto de Rana (8m) and El Barranco (16m). The small parts of the rainforest of the Forest of Thoughts are already rich with wildlife. It is easy to encounter black howler monkeys, white-face capuchin monkeys, tiny tamarin monkeys, tucans, kolibris, parrots and other tropical birds of paradise. One can see colorful rainforest butterflies such as the big radiant blue morpho butterfly, iguanas and other lizards, turtles and the endangered Atelopus frogs. The rainforest parts also conceal armadillos, sloths, night monkeys, anteaters, agutis, tayras, white-nosed coatis and peccarys.